South Texas College Library exhibits military quilts for the second year. South Texas College’s Library Art Gallery and the college’s Communication Dept. 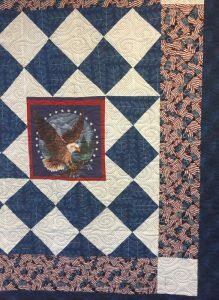 proudly present a special Veteran’s Day exhibit by the Rio Grande Valley Quilt Guild. The exhibit opens Wednesday, November 1 and runs through Thursday, November 31, 2017. STC Veteran’s Affairs will be having a Veteran’s Fair at the same location from 11 a.m. to 1 p.m. with Texas Veterans Commission, Employers seeking Veterans, Veterans of Foreign Wars, American Legion, Family Endeavors, VIDA, UTRGV Transition, and more. The exhibit and event are located at 3201 W. Pecan Blvd in McAllen. Admission is free and open to the public. The Rio Grande Valley Quilt Guild’s Military Service Quilts Program creates quilts with military designs and then gives the quilts during a ceremony to recognize veteran service. The Quilt Guild intends to increase awareness and recognize veteran service in our community. The RGV Quilt Guild offers programs and workshops as well as opportunities to exhibit. 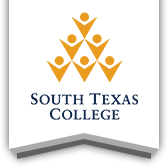 For more information, contact Gina Otvos at (956) 871-3488 or gotvos@southtexascollege.edu.